COMMENT | First off, a shout-out to RK Anand for his impressive interview with PSM’s S Arutchelvan. He really gets into the desiderata of PSM in this political landscape and his piece is the antidote to all the faux (as opposed to fake) news out there. Furthermore, thanks to P Gunasegaram, who I hope does not mind this homage to his lucid article on why Umno has to be benched. This piece on ‘10 reasons why you should vote PSM’ also applies to BN supporters – yes, they are out there - who think that BN under PM Najib Razak is not worth voting for and a reminder to the #undirosak crowd, to which I already made this pitch. If you are lucky enough to have a PSM candidate in your area and already know that you are going to vote opposition, then consider PSM your opposition candidate. Why? Well, because you know that your vote is not going to go to Umno/BN but if you really want to save Malaysia, use this opportunity to create the foundation for an opposition which directly opposes the mainstream politics that has brought us to this point. This election could be your first small step in truly saving Malaysia. 1. 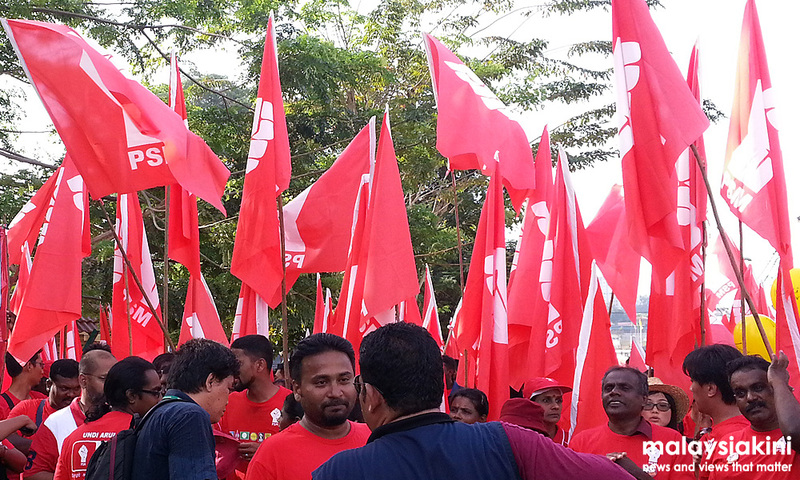 Voting PSM into the opposition is a reminder to the opposition that their job is not to become the next BN. This, of course, is the fear of many rational-thinking opposition supporters. Say, you are sick of dynastic power groups. Say you are sick of political hegemons squashing dissent in their organisations. Say you are sick of the way how mainstream politics is about race. Say you are sick that mainstream policy-making is about seeing what your political opponent does and then doing the opposite, without deeper considerations. Say you want politicians who would remind the opposition should they come into power – or do not – that the Umno/BN way of doing things, is not the best idea if you want to really save Malaysia. If you believe in all these things, vote PSM. 2. You reject the idea that religion always has to be the major issue in mainstream Malay politics. Are you sick and tired of the way how mainstream politicians use Islam? Do you worry that the only avenue young people have to voice their dissent is through mainstream political parties who understand the use of religion as a narcotising tool to silence dissent? When you have one side claiming they want to turn this country into an Islamic state and the other side at times contemplating Malaysia as an Islamic state through the constitution, you know you are in trouble.